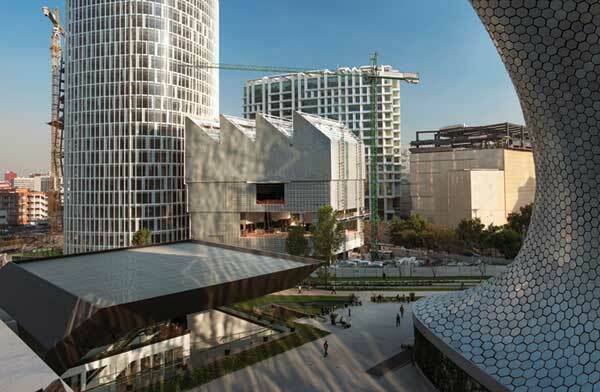 The Jumex Collection, the contemporary arts-heavy museum currently being built in Mexico City’s wealthy suburb of Polanco, is scheduled to complete its construction in July, with a target opening date in November. Established by food and juice magnate Eugenio López, the Jumex Collection is considered the largest private contemporary arts collection in Latin America, and features works by Tacita Dean, Olafur Eliasson, Martin Kippenberger and Bruce Nauman. This entry was posted on Wednesday, April 24th, 2013 at 11:42 pm	and is filed under Art News. You can follow any responses to this entry through the RSS 2.0 feed. You can leave a response, or trackback from your own site.